Adobe made the announcement in advance of the National Association of Broadcasters Show (NAB), the annual trade show for the pro video market. The updates from Adobe are available to subscribers today—subscription plans that include the video apps start at $49.99 per month. Hundreds of third-party integrations including Apple Touch Bar support for MacBook Pro and new Microsoft Surface Dial functionality in Premiere Pro with shuttle control in the timeline as well as changing hot float and text values. 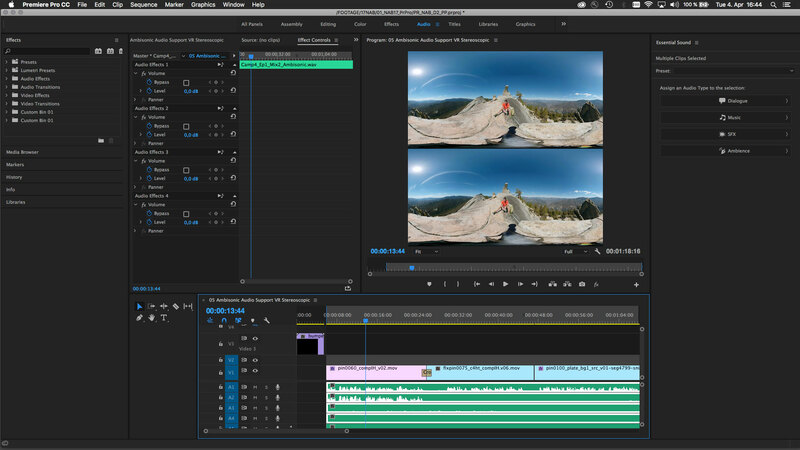 Other new features include the ability for video editors to sell their work directly through Adobe Stock. Adobe also added content from Pond5 to Stock.